Competition was fierce at this year’s Annual Transportation Trivia Night, where eight teams of transportation enthusiasts squared off to test their knowledge of all things transportation at Bar Louie in downtown Chicago. The wide-ranging (and tough!) questions focused on everything from Chicago’s Metra system to The Simpsons’ famous monorail episode. The winning team received prizes from Transit Tees, a popular Chicago-centric gift shop, a grab-bag of YPT-Chicago’s finest swag, and of course the group’s general admiration. A big thanks to Bar Louie for hosting us and an even bigger thanks to YPTer Scott Presslak for developing the questions and serving as our quiz master. The Windy City’s own Shared-Use Mobility Center (SUMC) once again held its three-day National Shared Mobility Summit here in downtown Chicago. The SUMC Summit brought together leaders, thinkers and professionals from every corner of the transportation space to explore the most pressing issues within the shared mobility industry. To celebrate the conclusion of another successful Summit, YPT-Chicago held a happy hour at Lizzie McNeill’s that served as an opportunity for Summit attendees, volunteers and YPTers from all over the world to mix-and-mingle following several days of in-depth discussion. A big thanks to Lizzie McNeill’s for hosting us and hats off to SUMC, who once again put on a fantastic conference! CMAP (Chicago Metropolitan Agency for Planning) recently released ON TO 2050, the new regional plan intended to guide development within Chicagoland for the next several decades. The plan comes with a variety of web-based tools designed to inform and empower planners, students and everyday citizens. Tina Smith, CMAP’s Communications Principal, was kind enough to walk YPTers and other interested individuals through the remarkable resources available under the ON TO 2050 plan. Attendees came away with an enhanced awareness of the issues facing the region and also the many tools available to address them A big thank you to Tina for providing us with her expertise and to HNTB for hosting this fascinating presentation. Learn more about the plan and its vision for the Chicago region HERE. 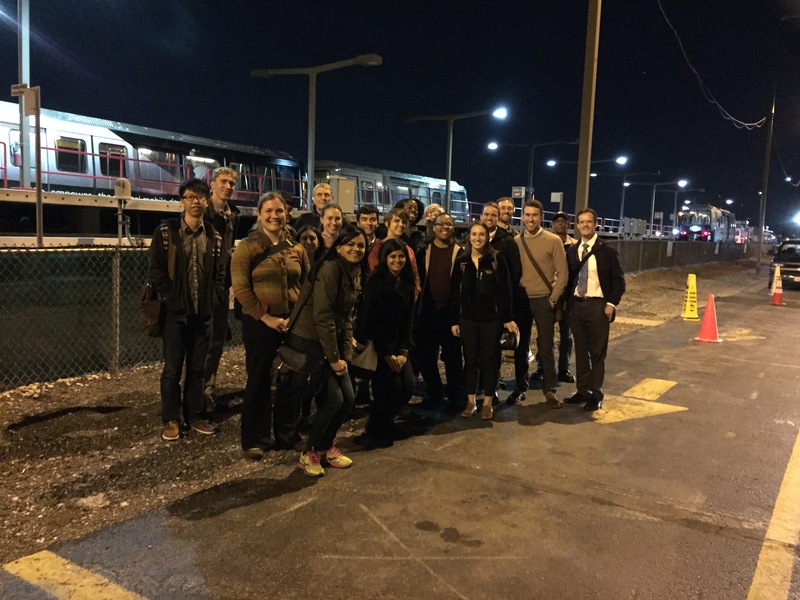 For its first event of the new year, YPT-Chicago sampled the bars along CTA’s Pink Line and braved the Windy City’s famous winter. The Pink Line Pub Crawl began in the Loop at the downtown mainstay Stocks and Blondes, followed by the hip Latin spot Bar Takito in Fulton Market. The group ended their journey with some craft beers and a tour at Lagunitas Brewing Company in Little Village. Many thanks to the brave YPT-ers who ventured outdoors for this great event! In the mad rush before the holidays, many of the city’s transportation professionals made time to attend a discussion with urban planning consultant and activist Steven Vance on the Chicago Sustainable Transportation Platform and the city’s mayoral race. The packed event was co-hosted by YPT-Chicago and the Midwest High Speed Rail Association and was held at the offices of HNTB. The platform, which Vance developed with transportation advocates Lynda Lopez and Yonah Freemark, outlines a set of transportation policies that prioritize “equity, sustainability, and livability for Chicagoans.” The discussion featured a lively Q-and-A session and touched upon a variety of topics including BRT corridors, fare integration and the need for equitable transit-oriented development. 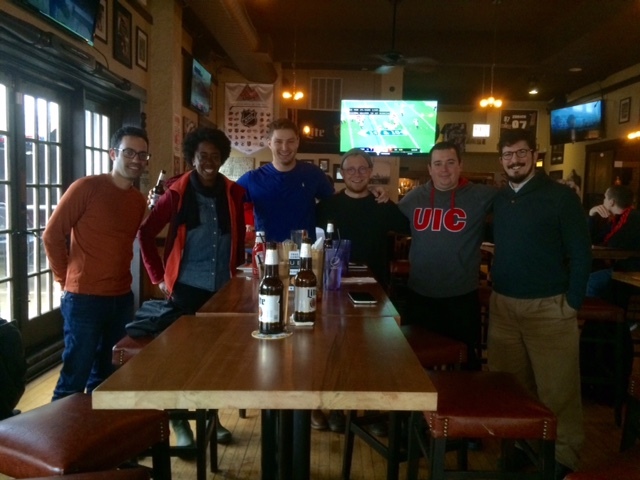 On a chilly winter evening in late November, YPT-Chicago hosted a happy hour event at Ovie Bar and Grill. The event was an opportunity for YPTers to reconnect after the Thanksgiving holiday and to meet the board, including several new members who took office following the YPT Board elections in September. YPT-Chicago co-hosted its traditional Student Speed Networking event for its fourth edition. 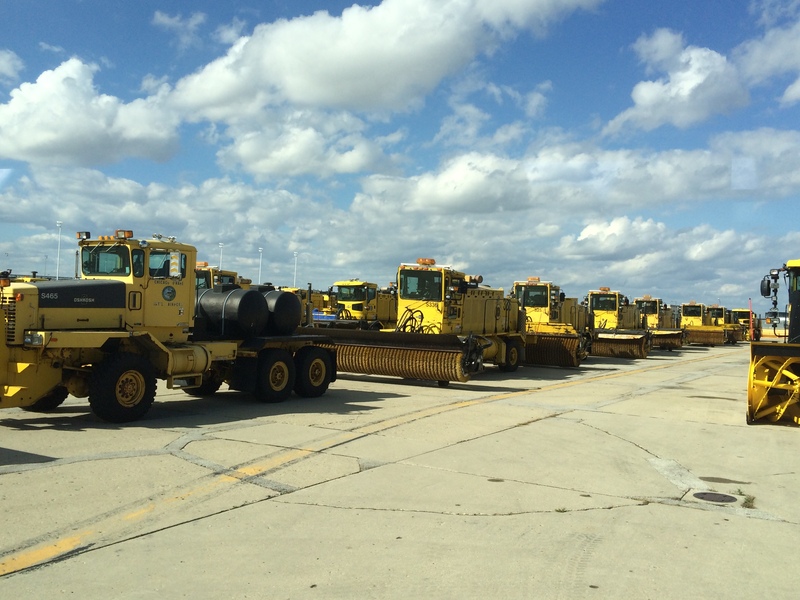 This year we partnered with WTS Greater Chicago, ITE Illinois Chapter, COMTO, APBP Chicagoland, and Transport Chicago. More than 60 people between professionals and students participated in this signature event at the CTA Headquarters. On Monday October 1st, more than 25 YPT-Chicago members and friends participated in an exclusive conversation with Michael Cassel, Boeing Global Engagement Senior Director. At this event we learn more about Boeing´s history, its corporate organization, and its Global Engagement program. 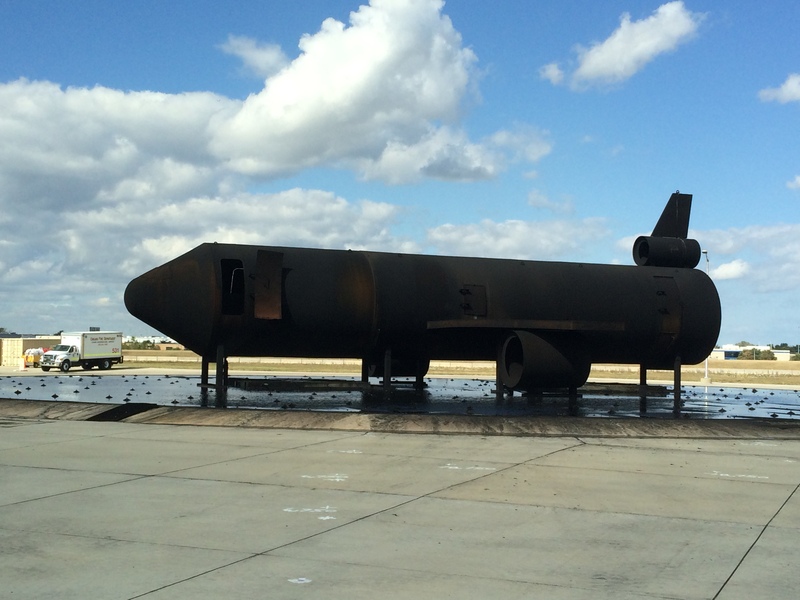 This lunch and learn event was hosted at Boeing´s Corporate Offices. 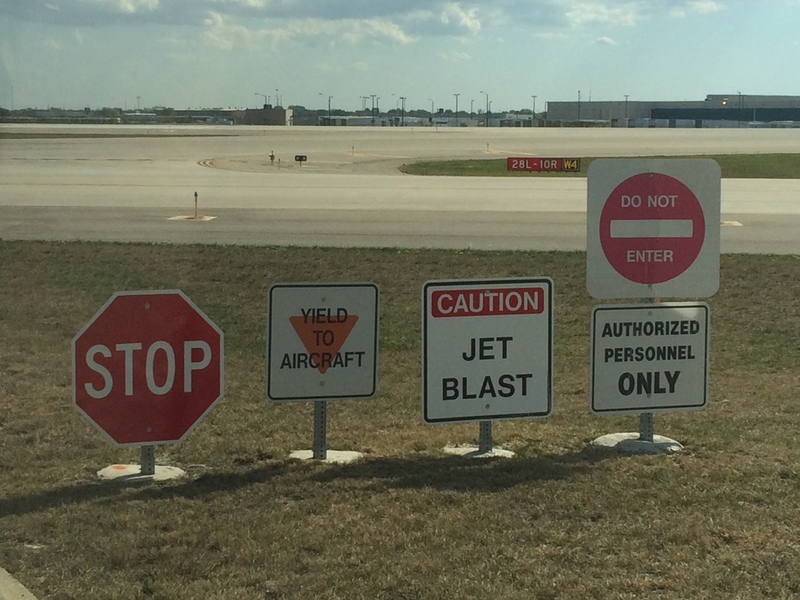 YPT-Chicago thanks Mike Cassel and his team for their time and hospitality. We also thank Meagan LeMelle, from The Boeing Company Internal & CEO Communications team, for her time and work making this event possible. On a beautiful late Summer evening, YPT-Chicago hosted a happy hour at Early Society to provide information about the upcoming YPT Board elections and the ways to get involve with YPT International and YPT-Chicago Boards. During a sunny summer day, YPT-Chicago hosted a Chicago River-oriented day of activities. The day started with an exclusive presentation about the growing importance of urban waterways passenger transportation in Chicago and the U.S. led by Andrew Sargis, Chicago Water Taxi’s COO. YPT-Chicago hosted a tour of the CTA Red Line South Public Art. We visited and learned about public art works located at six CTA Red Line stations: Cermak-Chinatown, Sox/35th, 47th, Garfield, 63rd, and 79th. Elizabeth Kelley, from the CTA Art Program & Collection, led the tour and shared with us us some stories behind the arts. Since 2011 the CTA’s collection of public art has undergone its largest expansion ever – now proudly boasting more than 60 pieces of art exhibited at over 50 stations, including mosaics, sculptures and paintings by nationally and internationally acclaimed artists. The addition of artwork at CTA stations and terminals not only promotes a friendly, inviting atmosphere, it also provides riders with a glimpse into the rich history and unique characteristics of the surrounding communities. Thank you very much Elizabeth Kelley! 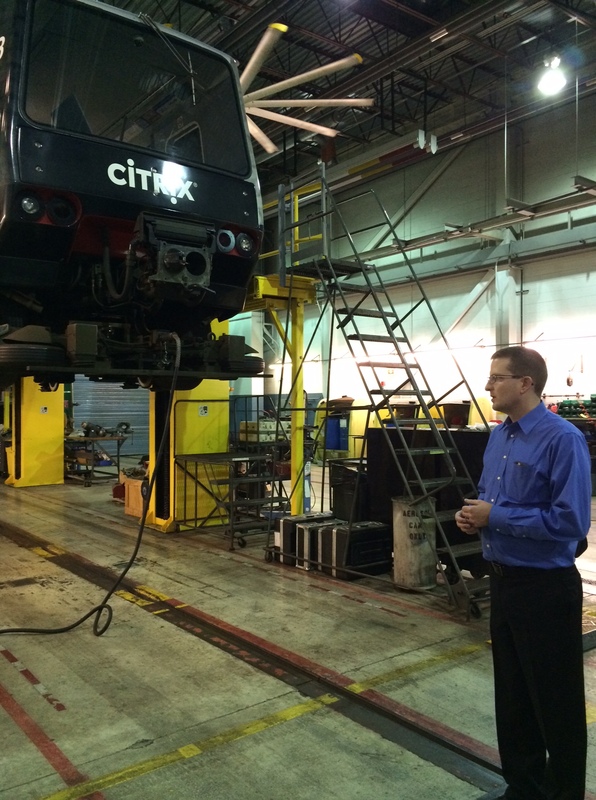 YPT-Chicago hosted a professional development event featuring Richard Harnish, Executive Director of the Midwest High Speed Rail Association. Thanks DePaul University School of Public Service for providing a venue for this event. 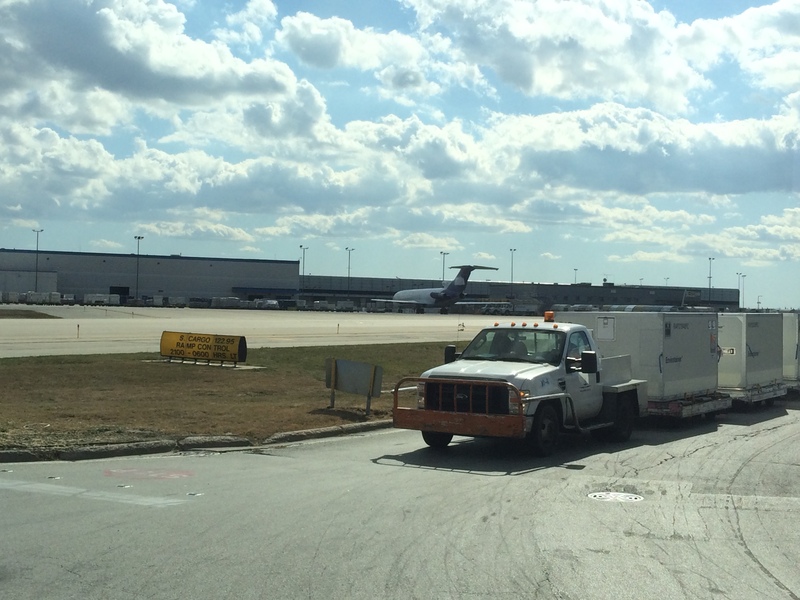 Thousands of academics and professionals have attended Transport Chicago since 1986. Transport Chicago 2018 will take place on Friday June 1, at the Holiday Inn Chicago Mart Plaza. 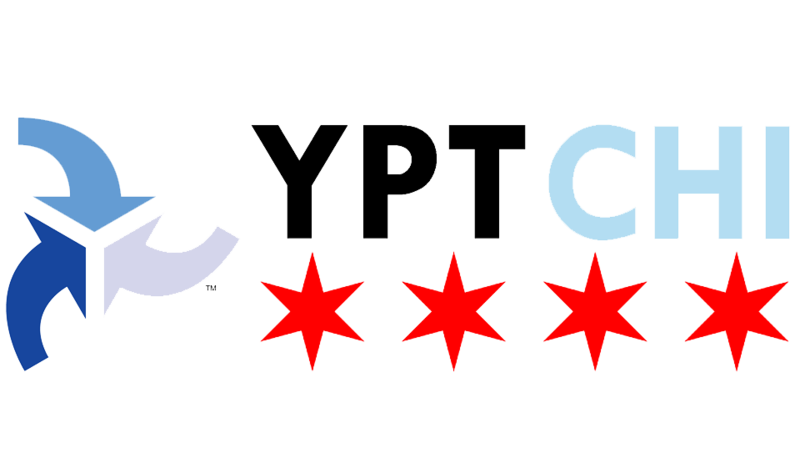 YPT-Chicago is proud to partner with YPT International to sponsor Transport Chicago for the fourth year running. YPT-Chicago organized the first Transportation Camp ever in Chicago! Transportation Camp is a daylong “unconference”. Transportation Camp forgoed the traditional conference format in favor of a participant-driven discussion among industry professionals, students, and anyone interested in transportation issues and innovations. Attendees took the lead in determining session topics and driving the conversations! YPT-Chicago and APBP Chicagoland invite members, friends, and the public to participate in the Chicago Pedway System Scavenger Hunt! The Pedway was born in 1951, when the City of Chicago built one-block tunnels connecting the Red Line and Blue Line subways at Washington Street and Jackson Boulevard. Since then, both public and private investment have expanded the Pedway, and the system now connects more than 50 buildings over a 5-mile labyrinth-like array of underground tunnels and bridges. Join us in exploring an iconic part of Chicago’s downtown transportation infrastructure! This was a great opportunity for teamwork, networking, and learning more about some of Chicago’s hidden underground gems. Participants came in teams, or by themselves. Everybody was assigned to a team the day of the event. 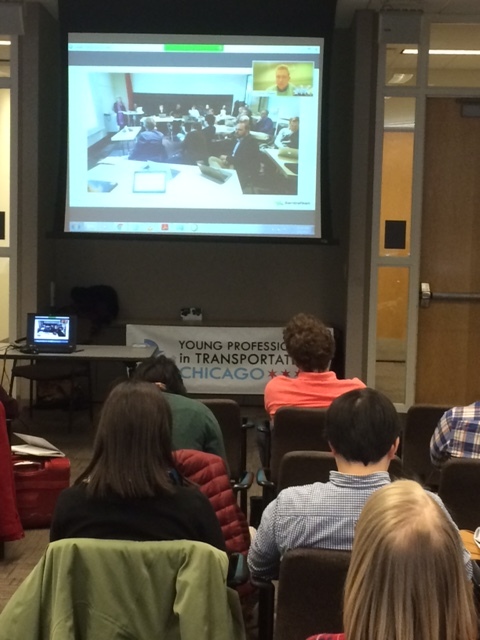 Monali Shah (Director of Intelligent Transportation) and Jordan Stark (Head of Corporate Communications for North America) led Here’s presentation and conversation with YPT-Chicago members. YPT-Chicago was a Promotional Partner of the 2018 Shared-Use Mobility Center Summit The 2018 SUMC Summit gathered professionals in transportation to discuss the latest developments in carsharing, autonomous EVs, bikesharing, and microtransit. 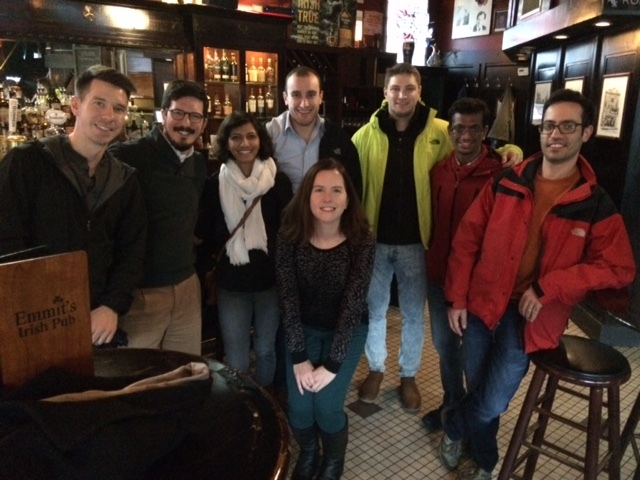 More than 20 YPT-ers and new friends attended YPT-Chicago’s Happy Hour at Lizzie McNeill’s, including: current and former YPT members from Los Angeles, Portland, and Boston; and new YPT friends from Saint Louis, MO; Flagstaff, AZ, and Toronto (Canada). YPT-Chicago hosted an exclusive tour of the Newberry Library, the most prestigious Chicago’s independent library. The Newberry Library possesses one of the most important collections of maps, pictures, and documents about the history of transportation and land use in Chicago, the Midwest, and North America. The tour was lead by two Newberry Library staff members: Kristin Emery, Manager of Governance and Assistant to the President, and Jim Akerman, Curator of Maps. In the first part of the tour, YPTers learned about the Newberry Library’s history, its signature building, and its current programs. Later, YPTers studied many types of maps representing cities and transportation lines, including: bikeways in New York City, railroads in Ohio, driving roads in Philadelphia, and roads and transit in Chicago. YPTers also accessed a 15th Century book with maps of great cities of that time and learned about the printing process to create such type of books. Last but not least, YPTers accessed an original copy of Burnham’s 1909 Plan of Chicago. Thanks to the Newberry Library for opening your doors to YPT-Chicago. Regular tours of the Newberry Library are free and open to the public Thursdays at 3 pm and Saturdays at 10:30 am. 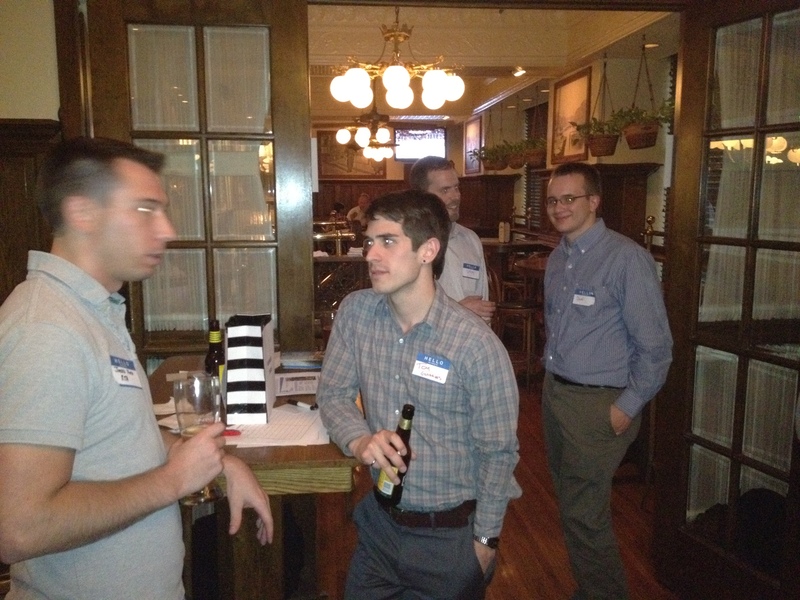 YPT-Chicago held an “End of the Year” Happy Hour at Tradition Gastro Pub and Bar in the Loop. The laid-back setting allowed YPTers to catch- up with one another and reminisce on the past year. Holiday festivities were in full swing and this was an excellent event to see some fellow YPTers, as well as welcome new faces, before we headed into 2018. 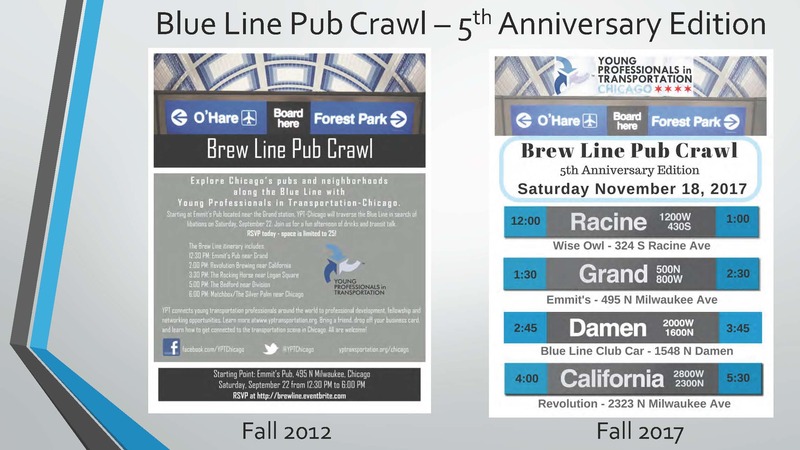 YPT-Chicago celebrated the chapter’s 5th anniversary with a re-edition of its original “Brew Line Pub Crawl” along the CTA Blue Line. More than 15 YPTers joined the crawl, shared stories of our chapter’s five-year history, and have a good time with old and new friends! During this event, YPT-Chicago recognized Kelsey Watterworth for her many years of service as a YPT-Chicago board member and as the chapter’s 2017 Chair. We wish her to “enjoy the ride” in her future endeavors! YPT-Chicago hosted a happy hour during the NACTO Designing Cities Conference 2017. The NACTO conference gathered 800 North American and International professionals in transportation for one of the most important conferences in the industry. 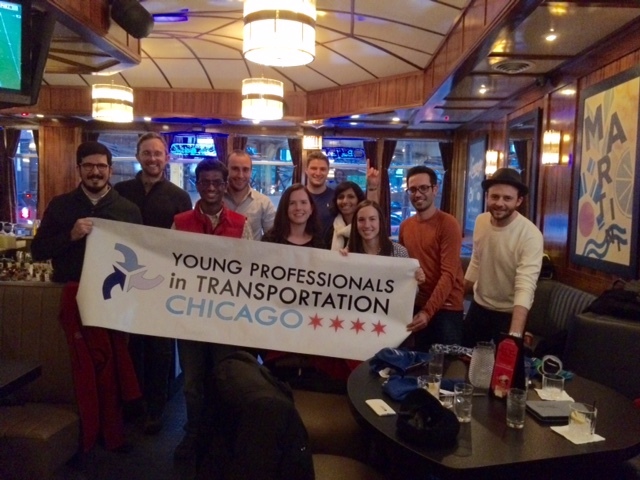 40+ professional coming from different transportation sectors and geographic regions attended YPT-Chicago happy hour. In addition to sharing food, drinks, and good conversations, the event included presentations by YPT-Chicago and APBP Chicagoland, two rounds of raffles of YPT-Chicago’s brand new mugs and tote bags, and many networking opportunities. This event was co-sponsor by YPT-International and organized in partnership with APBP Chicagoland chapter. YPT-Chicago, in partnership with WTS, ITE, COMTO, and APBP, hosted the 3rd Annual Student Speed Networking event connecting students interested in transportation with professionals in the field. Over 20 students and 25 professionals gathered in the CTA Headquarters in downtown Chicago to discuss all things transportation. After introducing the individuals in the room and partner organizations involved, students and professionals sat down to start the speed networking. A fast-paced event, our annual speed networking event gives students the opportunity to learn about the transportation industry without the pressure of formal recruitment events. We had students come in from Northwestern, Illinois Tech, UIC, UChicago, and Valparaiso. Thanks to all the students and professionals who were able to make it! Keep an eye out for our 4th Annual in 2018! 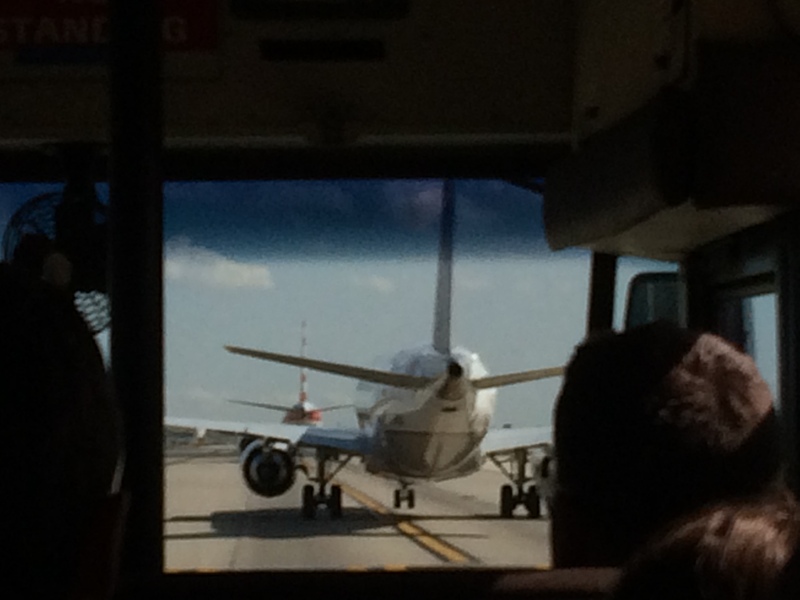 YPT-Chicago headed to O’Hare Airport for an exclusive behind-the-scenes tour of the airport facilities! 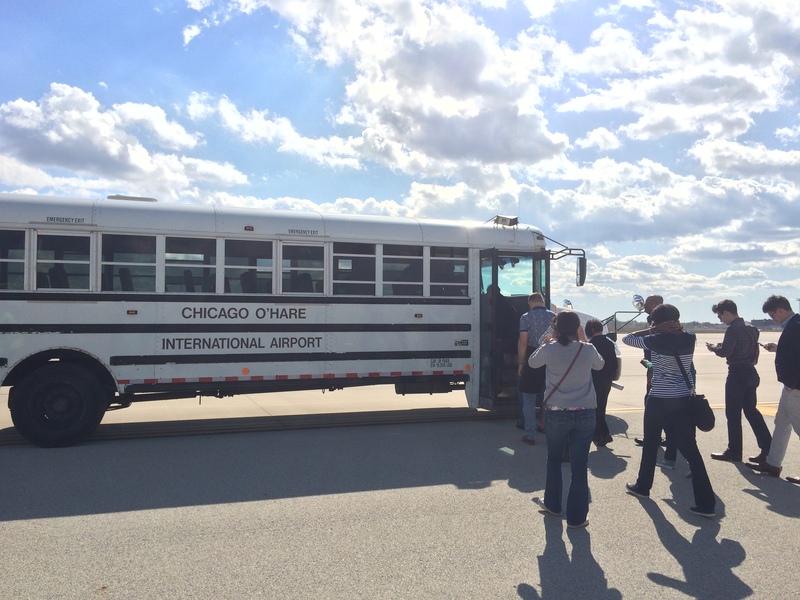 Representatives from the Chicago Department of Aviation led the group on a bus tour of the airside facilities, including the new cargo facility, the fire and rescue training facility, and the Ground Run-up Enclosure (GRE). 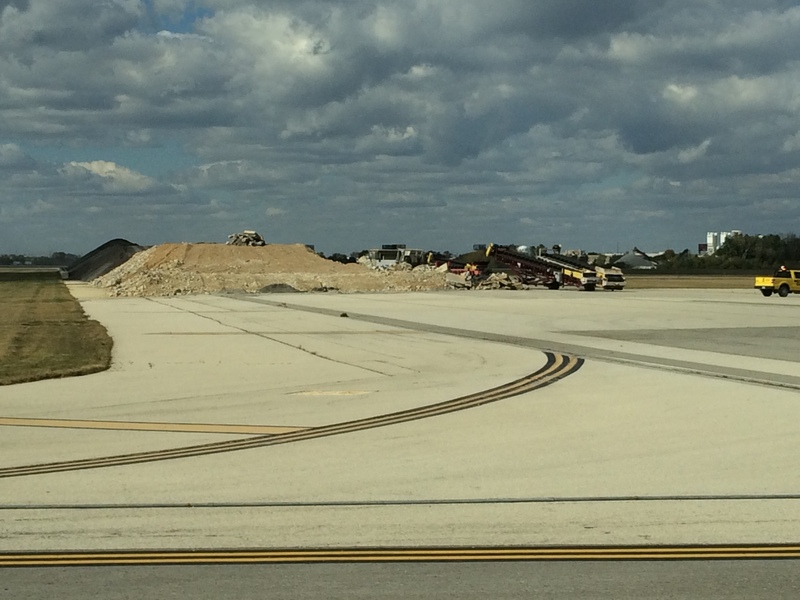 As the bus followed passenger planes along active taxiways and winded around the airport service road, YPTers learned about recent construction and saw the next generation of runways and taxiways under construction. YPT Chicago spent a Saturday afternoon visiting the seasonally open McCormick Bridgehouse & Chicago River Museum. A member of Friends of the Chicago River guided us on a 2 hour walking tour, where we learned the history of the Chicago River and the bridges found on the tour. In the McCormick Bridgehouse we explored the gear room and its five-story tower. We then crossed the DuSable Bridge and walked west along the river plazas, finishing our tour at the Vietnam Memorial Plaza. YPT-Chicago engaged in Chicago Metropolitan Agency for Planning (CMAP) ONTO2050 participatory planning by hosting a CMAP Alternative Futures workshop. During the event, CMAP staff presented different scenarios issued from current trends in regional change and young professionals in transportation provided feedback by voting in surveys followed by broader conversations about specific issues involved in each scenario. What if climate change impacts intensify by 2050? What if more people choose walkable communities by 2050? What if innovative transportation changes how we get around by 2050? What if a transformed economy can enhance prosperity by 2050? What if constrained resources challenge our communities and region by 2050? For the third year in a row, YPT Chicago and YPT International were proud to sponsor the Transport Chicago conference, held on June 9th in downtown Chicago. The conference was attended by nearly 300 people from around the region and the Midwest and featured two great keynote speakers and 12 breakout sessions. YPT Chicago board member Steve Brown served as the conference president, and YPT Chicago board members Alvaro Villagran, Shane Misztal, and Trina Grieshaber were in attendance as well, joined by dozens of other YPT Chicago members and friends. In keeping with our tradition at Transport Chicago, we raffled off a free YPT annual membership – congrats to new YPTer Katanya Henry of CMAP! On a cold rainy May Friday afternoon, YPT-Chicago toured Chicago’s CREATE 75th Street Corridor Improvement Project as a sequel to our panel of experts event from 2016. 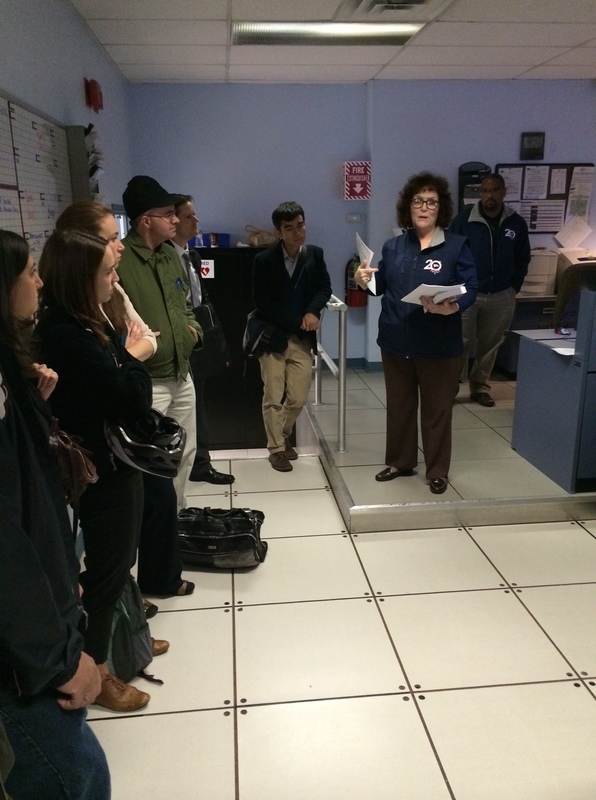 First, participants visited the Chicago Transportation Coordination Office (CTCO) on Canal Street in the South Loop. At the CTCO participants learned about the history of the CTCO, why the CTCO plays a key role in facilitating planning and communication between rail operators for the successful coordination of rail traffic in Chicago, and glimpse the train tracking monitors for several rail lines in the Northeastern Illinois region. Then, we stopped briefly at the 71st Street Highway rail crossing to visualize the existent conditions of the site. Finally, we put on hard hats and safety vests to visit the Forest Hill Junction, where four freight and two passenger rail tracks cross at 75th Street. 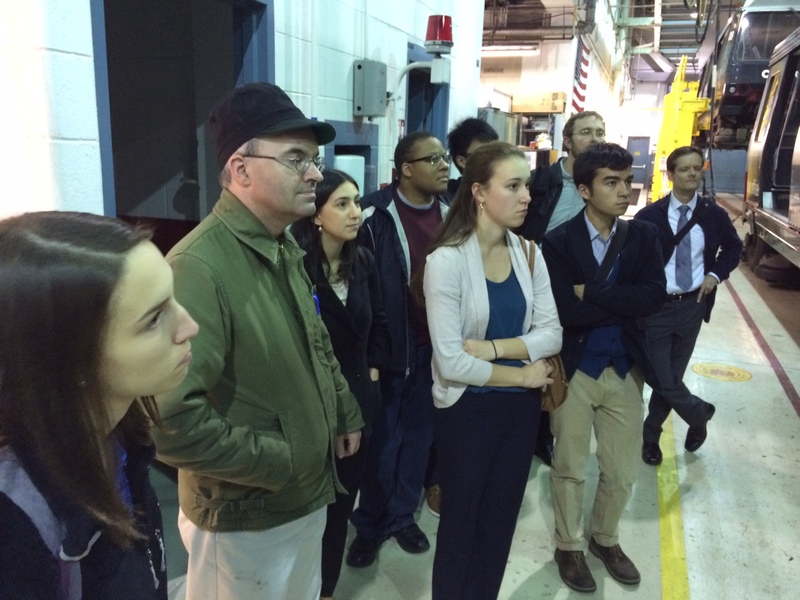 Thanks to YPT-Chicago members, students, and friends who joined us for the tour. Our special thanks to the experts from CDOT, Union Pacific, and other CREATE 75th Street CIP partners who led the tour and explained the complexities of the project. Transportation and policy aficionados of all ages gathered at Bar Louie to hear IL Congressman Mike Quigley speak to his experience in the transportation and appropriations sphere, with an emphasis on operating in the current political climate. For those who missed it, it should come as no surprise that Rep. Quigley has found engaged discussion and compromise to be major components of successful transportation planning and programming. 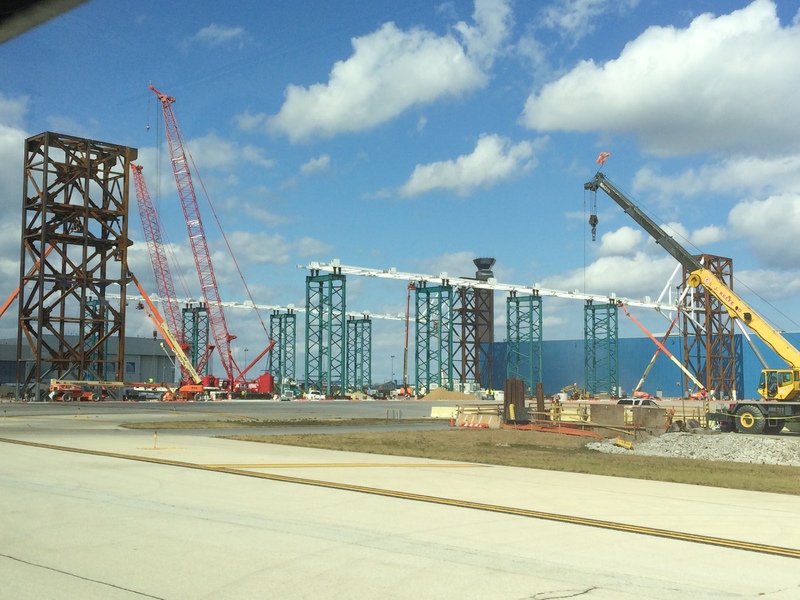 In order to move forward with transportation projects, the importance of finding common ground–rather than refusing to engage with those on the other side of the political fence–was a major message of Quigley’s chat. He also took questions after the event. Thanks to everyone who joined, and especially to our guest, Mike Quigley, for such an open and informative evening! Thanks to everyone who spent their lunch break with us to learn about Swedish transit. 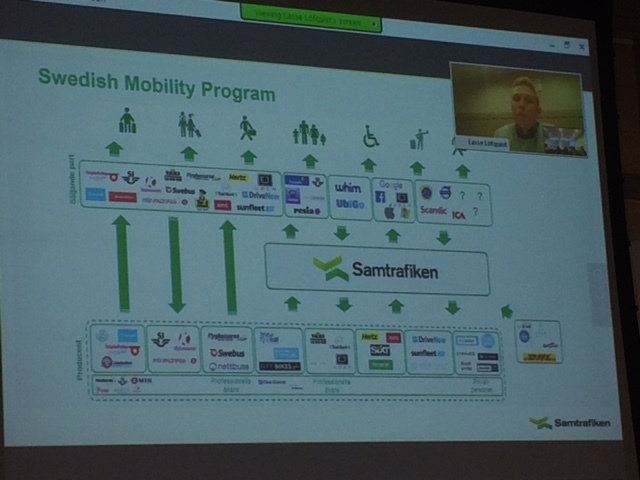 We had over twenty join us in person to share sandwiches and participate in the live webinar with Lasse Lofquist from Samtrafiken in Stockholm. Several more people dialed in remotely. The 30-minute talk was followed by a great Q&A session conducted via chatbox. If any of the participants didn’t get a chance to have their questions answered, please send them to yptchi@gmail.com and we’ll forward them along. Thanks again to Lasse for a great presentation! It was an evening full of twists and turns as YPTers and friends gathered once again to test their knowledge against that of their fellow transport aficionados at Bar Louie on February 28. The questions were lauded by all and the answers contested by some – sparking some lively debate between teams! Thanks for coming out! Thanks to everyone who joined us after work on Thursday for our 2017 inaugural happy hour! We had a good crowd of 25+ in our reserved area at City Social in the Loop. 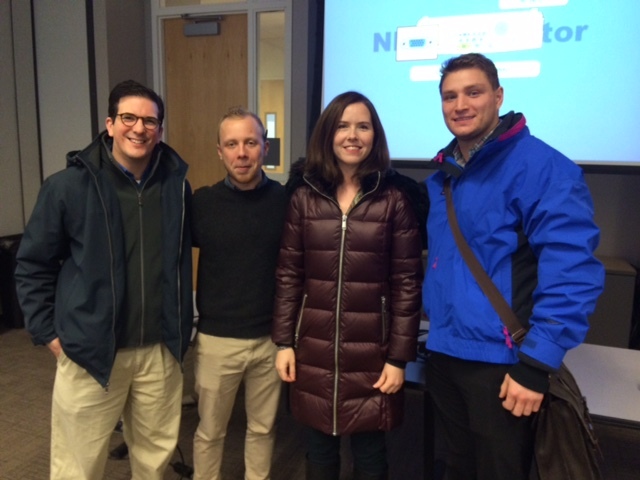 In particular, we were glad to see so many new faces – friends and coworkers of current YPT members. Keep an eye out for upcoming events this spring, and enjoy the photos below! The Fall 2016 pub crawl saw YPT Chicago members and friends cross another ‘L’ Line off their lists! This time we ventured along the Green line, beginning in the South Loop at one of Chicago’s newest breweries, Baderbrau, and newest L stations, Cermak-McCormick Station. From there, we made our way through the Loop and then west, stopping at Wabash Tap (Roosevelt), The Bar Below (Adams/Wabash), and St. Lou’s Assembly (Clinton) before tapping out. The day was cold but spirits were warm! In addition to local members, we had the chance to catch up with old members traveling through town. YPT Chicago again partnered with our friends at COMTO, ITE, and WTS to bring you an evening of Speed Networking. On Thursday, October 27th, we brought together transportation professionals and Chicagoland college students for an evening of conversation. The event took place at RTA headquarters in the Chicago Loop. Informational interviews are a great way to get insight into career opportunities within a given field, and we do them speed-networking style! Students have the opportunity for brief one-on-one or small group discussions with transportation professionals from a variety of backgrounds including engineering, planning, finance, and transit. Students meet with transportation professionals from Chicago Transit Authority, Regional Transportation Authority, HNTB, Chicago Department of Transportation, Amtrak, Alta Planning + Design, HDR, Jacobs, and more. This was the second Annual Speed Networking Event that YPT Chicago has organized. 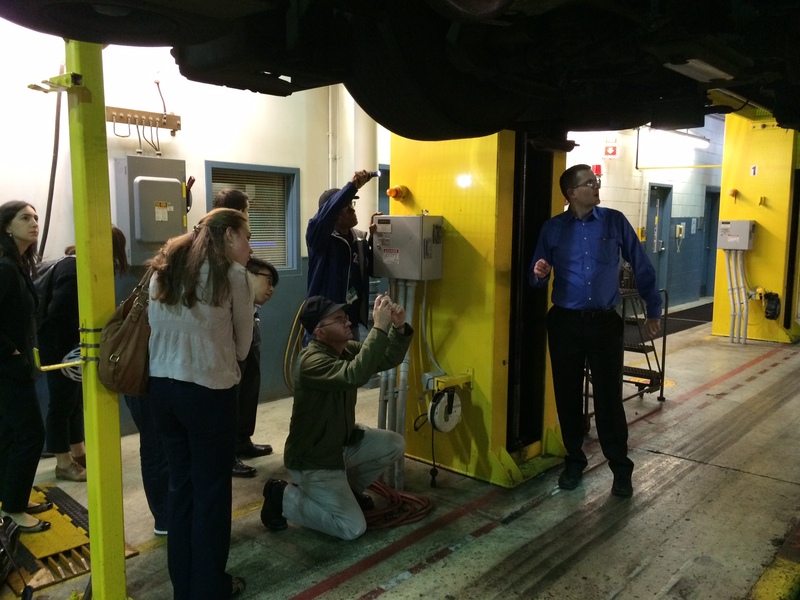 We look forward to continuing to help students gain an entree into the world of transportation employment next year. 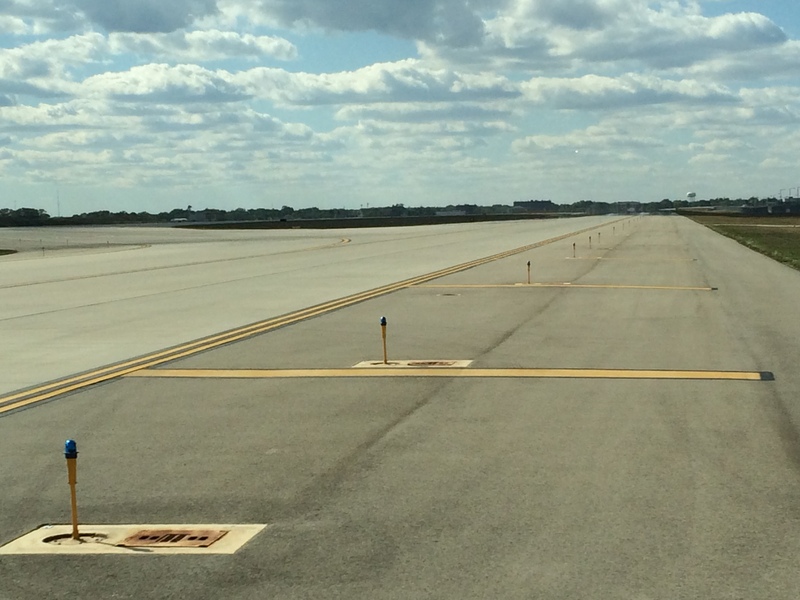 The Illinois Safe Roads Amendment was a hotly debated ballot item in the 2016 elections. YPT Chicago was honored to host State Rep. Elaine Nekritz (D-57) and Ben Brockschmidt of the Illinois Chamber of Commerce for a discussion on the then-proposed amendment. In a convivial atmosphere at Bar Louie at Dearborn Station, members and guests were able to learn about some of the key points for and against the amendment, get their questions answered, and discuss their thoughts with fellow transportation professionals. Occasional shouts and cheers from Cubs fans watching the game next door only added to the energy. There was also a before and after audience poll , the results of which show the persuasiveness of both speakers. 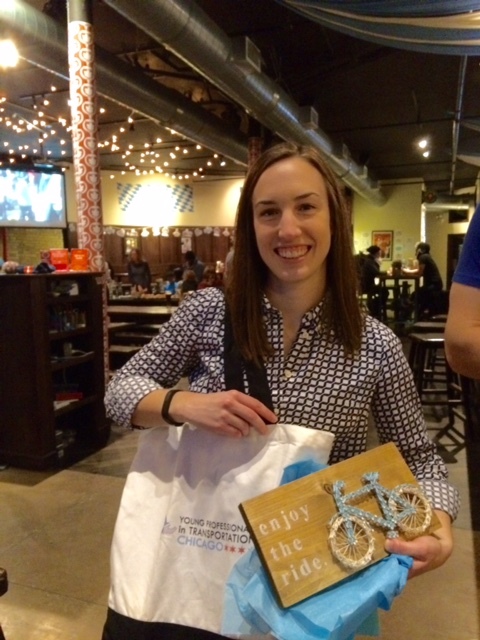 This year YPT Chicago was a promotional partner for the Shared-Use Mobility Center Summit. After the day’s events, we gathered at Public House to discuss the latest trends in carsharing, bikesharing, ridesourcing, microtransit & more with SUMC Summit attendees. Aside from meeting up with YPT Chicago members and friends, we’re grateful that we were able to get to know so many transportation professionals who had traveled from outside the Chicago area to attend the SUMC Summit. Looking forward to making this an annual event! YPT members got a tour of Chicago’s nationally recognized biking infrastructure with Mike Amsden of CDOT. This was a behind-the-bollard tour of downtown bike facilities, old and new. YPT members met at 10:30am for a 90-minute tour, followed by lunch, drinks, and a round of Cards Against Urbanity. 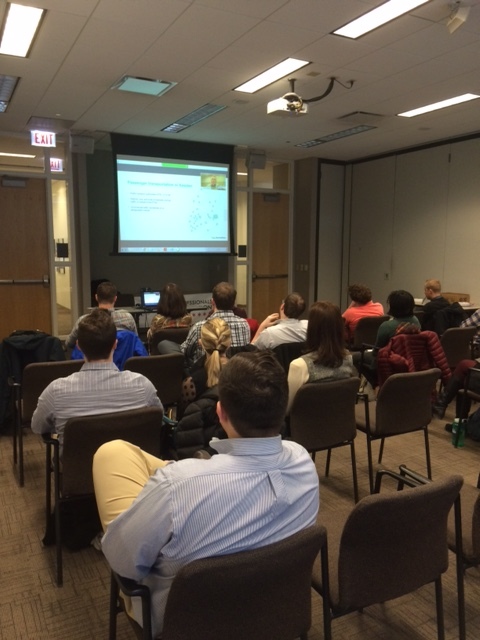 This planning workshop was in partnership with the Chicago Metropolitan Agency for Planning (CMAP). CMAP has begun development of the next comprehensive regional plan for the seven counties of northeastern Illinois. The ON TO 2050 plan will address a range of issues, from climate resilience to shared services, transit modernization and highways operations, all of which affect quality of life and economic health of the region’s residents. At this early stage in development of ON TO 2050, no final decisions have been made about what it will or will not include. YPT Chicago would like to ensure that the big ideas and insights of young professionals on regional challenges and opportunities in transportation are incorporated in the development of this next regional plan, which is why we organized this event. Thanks to everyone who came out to the HNDB offices in the Loop to give their ideas and feedback, and thanks to Kelwin Harris and Katanya Henry for leading the workshop! As usual, this was another special opportunity to witness the typical Amtrak & Metra evening passenger train rush from the inside. There is never a dull moment in CUS! 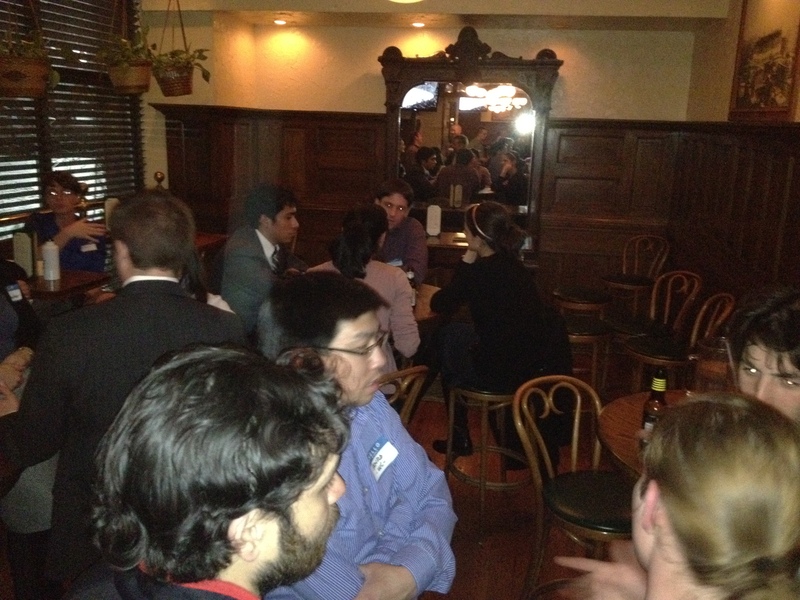 After the tour, YPT members gathered for a round of drinks and appetizers at Dylan’s Tavern. The event was free for members only. This panel event saw local transportation experts Jeffrey Sriver (CDOT), Tom Murtha (CMAP), Dave Chandler (CNT), and Benjamin Brockschmidt (IL COC) come together to discuss this multi-jurisdictional project to relieve train and roadway congestion. 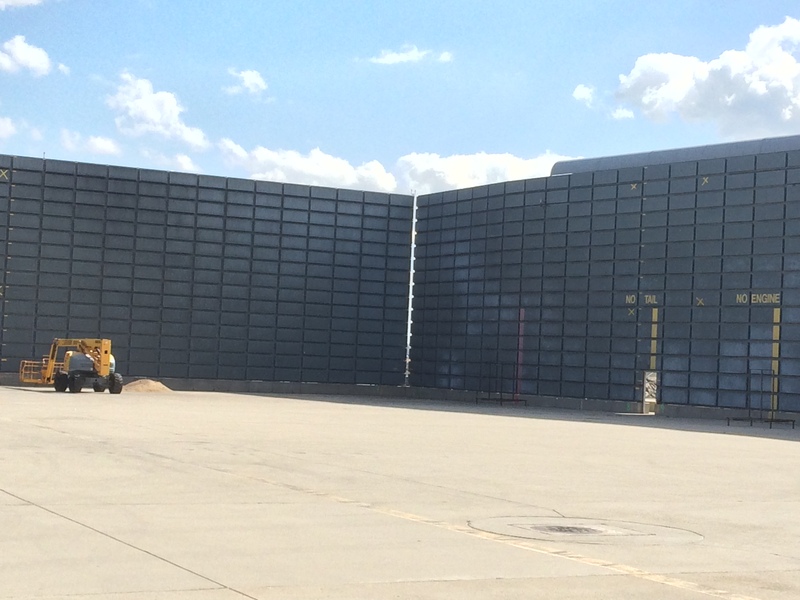 Part of the CREATE program, the project is led by IDOT, FHWA, CDOT, and AAR. The merits and challenges of the project were debated in earnest and sparked conversation among attendees, and we thank our panelists for providing their insight. The event was held at MakeOffices and Goose Island Brewery provided beverages for guests to enjoy. Thanks for coming out to good old Bar Louie! The webinar looked at the Greenroads rating system and some recent case studies where the rating system has been applied and contributed to the success of the project. YPT-Chicago invited members and friends to join us in welcoming CMAP Executive Director Joseph C. Szabo for an evening of conversation and drinks. Joe shared some of his experiences in transportation, his transition earlier this year from the Federal Railroad Administration to CMAP, key issues facing CMAP and the region, and was available to answer our questions. The event took place at the convivial Bar Louie on July 22, 2015.